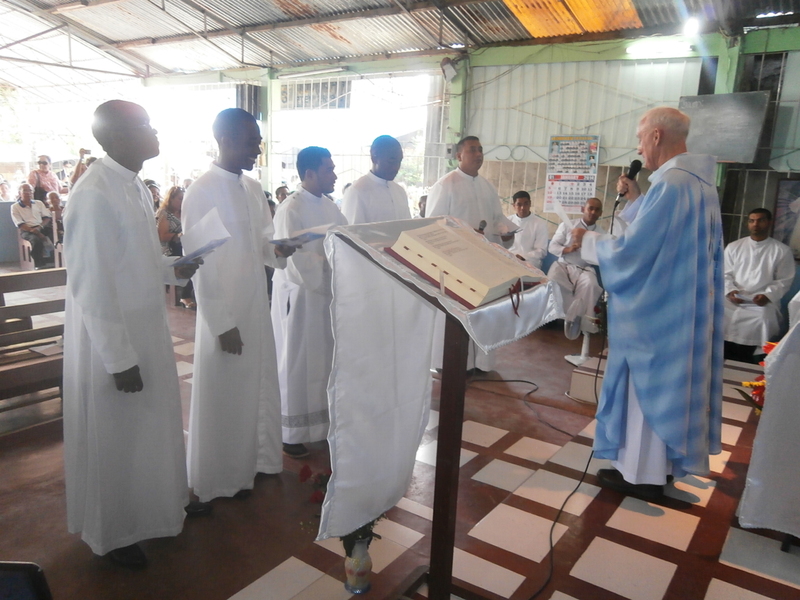 Five novices from the International English Speaking Novitiate took vows today 25th January 2014 in a pack St. Nicholas Chapel in Dumalag, Davao City, Philippines. 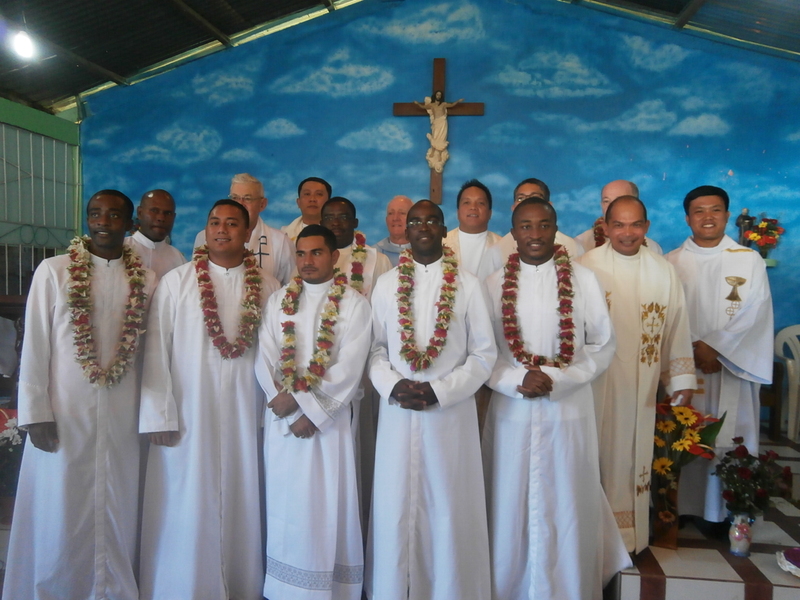 Novices Sefo and Maselino (Samoa); Kenneth, Chris and Narcisse (Africa) expresed their ‘fiat’ to God to be Marist religious. The theme of the celebration is ” Mary we are yours”. 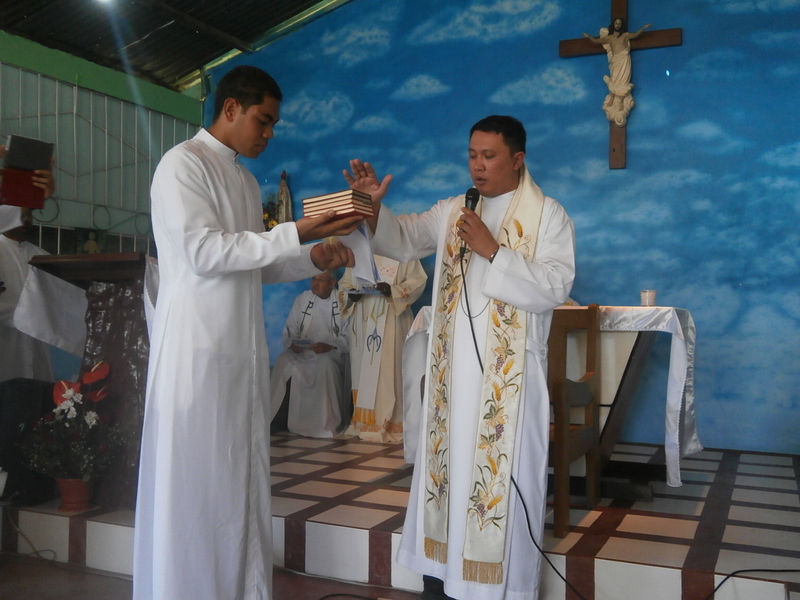 The Eucharistic Celebration was presided by Fr. 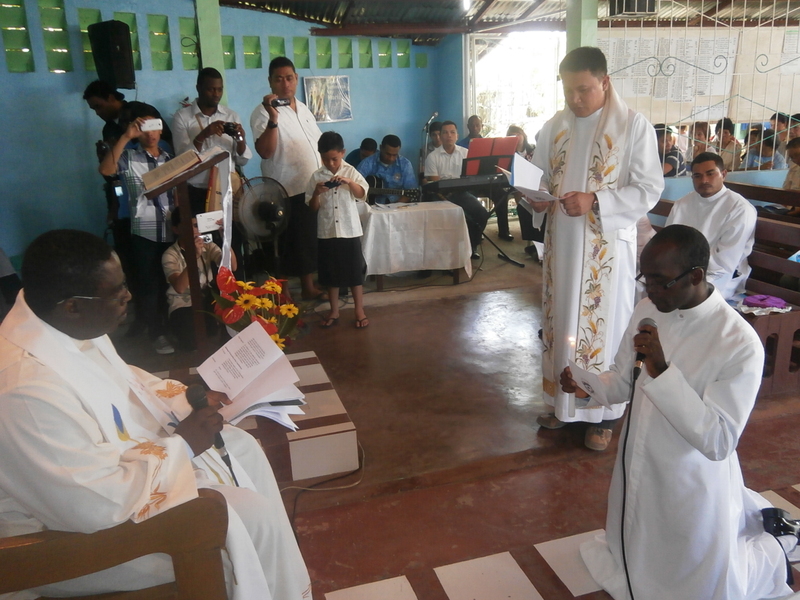 Pat Devlin, SM, the District Superior of the Philippines and concelebrated by other Marist priests. 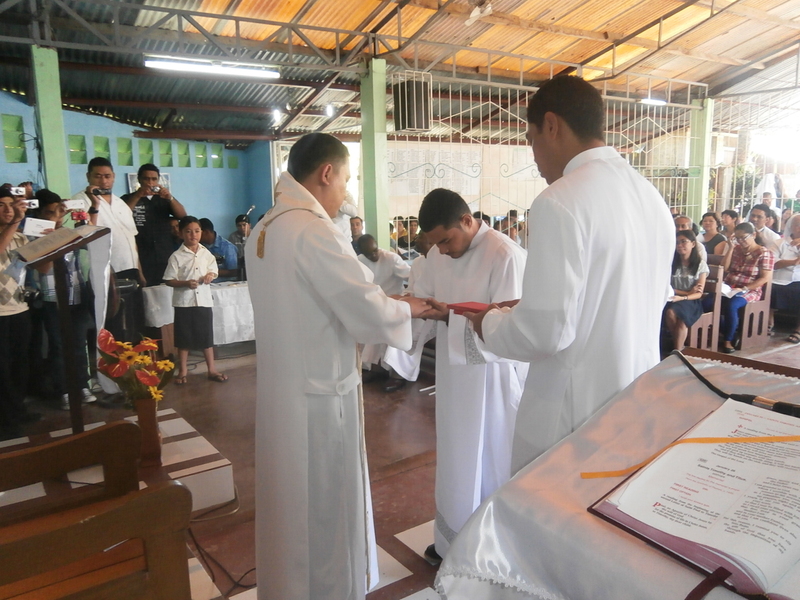 The vows of the novices were accepted by Fr. 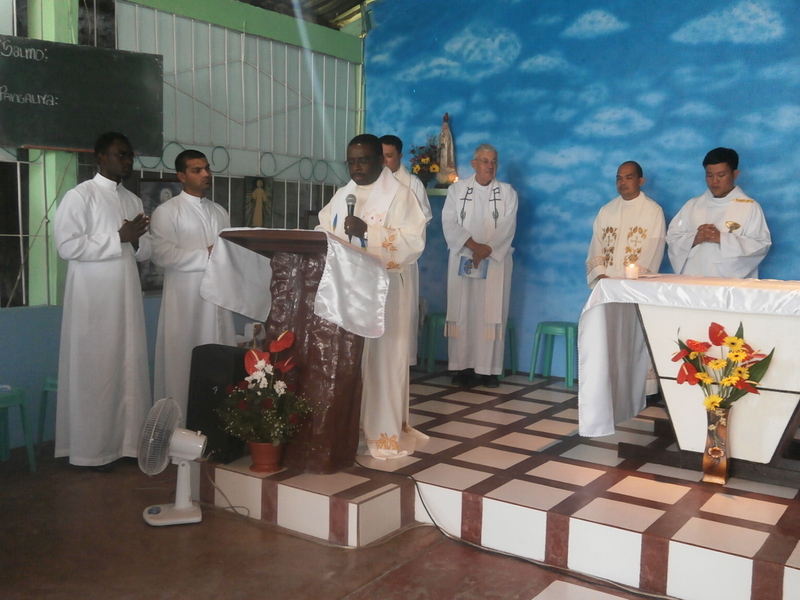 Didier Hadunou, SM, the District superior of Africa. He was also the homilist in the mass. 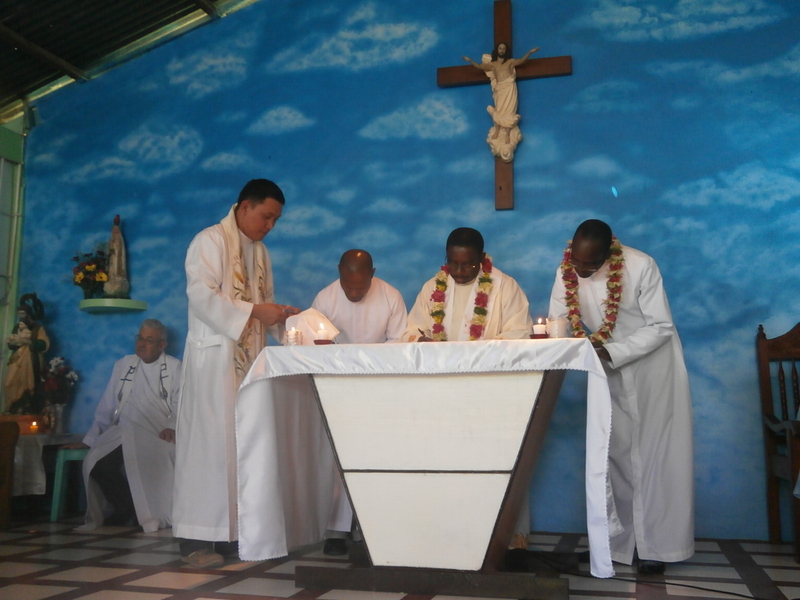 The profession was attended by all the members of the Marist family as well as by the local people where the Novitiate is located. 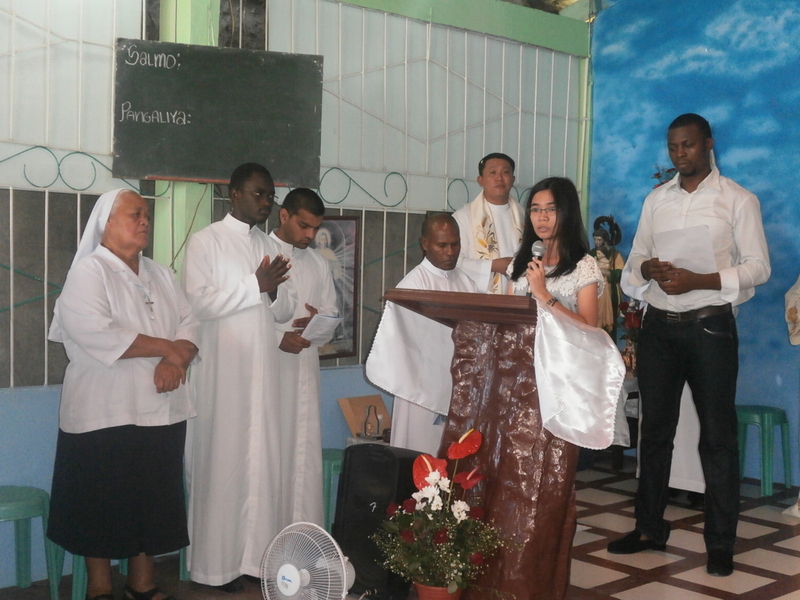 The foster parents of the Novices during their Pastoral exposure were also present in the occassion. 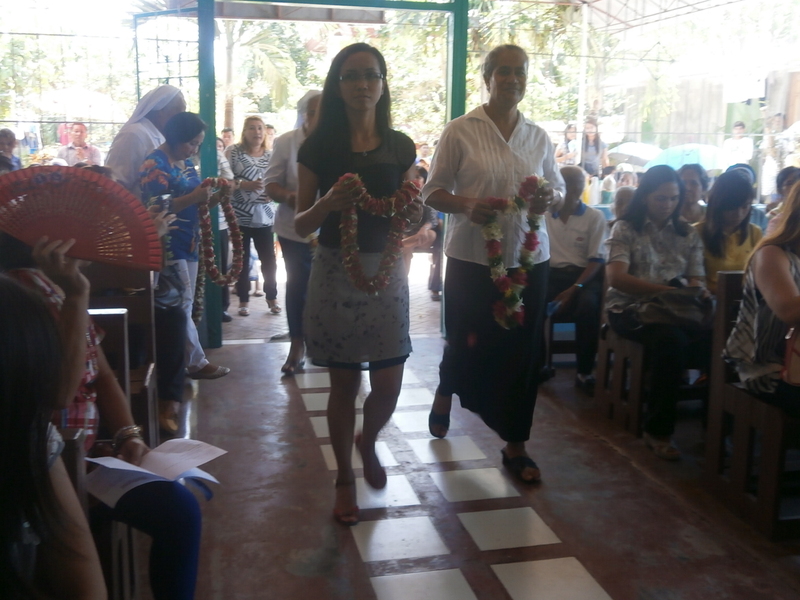 The celebration ended with lunch shared by everybody in the Novitiate house. In the evening, the Marist Fathers and seminarians joined the newly professed Marists for dinner and entertainment. We thanked God for the gift of Marist Vocation these 5 young men has received. May we continue to pray for them as they begin to live their Marist religous life. Cheers!